Navigation instructions are the part of your course that explains how learners should move through your e-learning. The details can vary, but usually, the instructions point out things like the next and back buttons, as well as features like volume or video playback controls. Many course creators include navigation instructions in their e-learning out of habit. Others are required to include them in every course their organization creates. 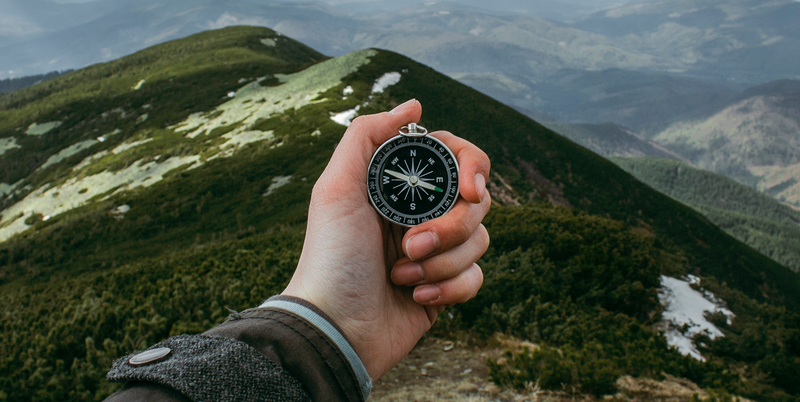 Whether you’re in the former or latter camp, I think we can all agree that any navigation instructions you include should be clear and helpful to your learners. So let’s zero in on a few tips for doing just that! When you’re considering how much detail to include in your course navigation instructions, it’s always good to look to your audience for clues about their needs. For example, in some organizations with more tech-savvy learners, you might not need to provide navigation instructions at all. For others, it might be the entire training audience, or maybe just a few pockets of users, who could use some navigation help. Another factor to consider is how often your learners access e-learning courses. If e-learning is fairly routine, you might not need to cover every single navigation feature. However, if it’s something they only do rarely, it’s probably best to err on the side of caution and cover course navigation features with greater detail. Typically, navigation instructions are presented at the very beginning of the course and the learner must view all of the instructions before they can proceed to the rest of the course content. If you’d like to try a more streamlined approach, or if you’ve gotten feedback from learners that they find these instructions to be a waste of their time, here’s a great compromise: make them optional. There are several ways for making navigation instructions optional, but one of the most popular ways is to use the lightbox feature in Storyline 360. Since a lightbox can be added to the course player, just add a label to the lightbox trigger button that says something clear, like “Navigation Help,” and then point this button out to your learners at the beginning of the course. That way they know that the navigation instructions are always available to them, wherever they are in the course and whenever they might need them. Another brilliant way to provide navigation instructions is through the use of timed prompts, or hint captions. These prompts only appear after the user hasn’t clicked on a navigation button within a certain amount of time or within the right spot. One of the benefits of this kind of navigation help is that it’s more context-sensitive, as the instructions only pop up if the user seems unsure of where to click or what to do next. If you’d like to try applying the ideas shared in this article, check out 3 Subtle Ways to Integrate Navigation Instructions and snag the free Storyline 360 download with step-by-step instructions for doing each of them on your own. Do you have any navigation tips or tricks of your own? Leave a comment below or share your ideas in the E-Learning Heroes community! And don’t forget to follow us on Twitter for more e-learning advice every day! Want to try something you learned here, but don't have Articulate 360 software? Download a free 60-day trial, and come back to E-learning Heroes regularly for more helpful advice on everything related to e-learning. If you have any comments, please share them below.